U.S. Chemicals recognises that its partners are looking for more and that in order to set itself apart the company must deliver beyond the basics. Why is culture important at U.S. Chemicals? Creating Customer Success® is more than a statement that we hail here at U.S. Chemicals as we work with customers to supply specialty chemicals across North America. It is a deep belief woven into the fabric of our company culture. It’s how we work, how we treat customers, and how we treat each other. When U.S. Chemicals was founded in 1960 by Howard T. Von Oehsen, he always said, "if our customers are not successful, then we are not successful ... our customers' success is directly related to our success." His business philosophy, still in effect today, is to offer optimal solutions to customers with the highest quality standards. With over 50 years of experience in the chemical distribution industry, we are a team of experts who understand the industry. Beyond our ability to supply, we pride ourselves on bringing “out of the box” solutions to create win-win, long-term relationships. Our philosophy is customer driven, value focused, and based on your needs. U.S. Chemicals is committed to investing in highly capable talent in order to create customer success. Our stringent talent acquisition strategy has captured the highest-caliber talent in the industry. At our core we strive to meet the needs of our customers by being responsive, flexible and pro-active. Our goal is right the first time, every time. We can solve your custom processing needs quickly and for the right cost. We can arrange and manage laboratory research and feasibility analysis, process development, and multi-tiered scale up from pilot to commercial quantities. Our facilities have state-of-the-art equipment, provide consistent, reliable, and high quality service, and are FDA registered and compliant with GMP standards and practices. We can also supply products processed under Kosher standards. Our Custom Services include Blending, Aqueous Dispersions, Grinding, Micronizing, and Custom Packaging. Whether you are buying for the first time, or re-ordering a product, our extensive warehouse network and our buying strength ensure that your product is always nearby at the best value. We have an extensive logistics network that is flexible and cost-effective. As our customer location mix evolves, we can easily reposition our inventory reducing our customers delivery time and costs. We contract only with the best: each warehouse is audited to ensure best-in-class service, safety, and compliance. They know the rules and follow them so that you can be worry free. In 1997, U.S. Chemicals became a member of the National Association of Chemical Distributors (NACD) and obtained Responsible Distribution (RD) certification. This third-party verification of environmental, health, safety, and security programs demonstrates our commitment to continuous performance improvement and RD in every phase of chemical storage, handling, transportation, and disposal. 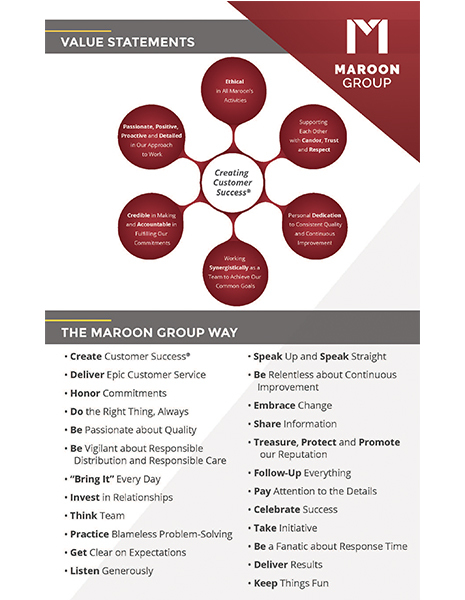 As part of Maroon Group, we continue to operate under these protocols to ensure the responsible distribution of our products. Maroon Group is proud to announce that it has achieved EcoVadis’ Bronze Level CSR Rating for all of its Maroon Group operating companies. 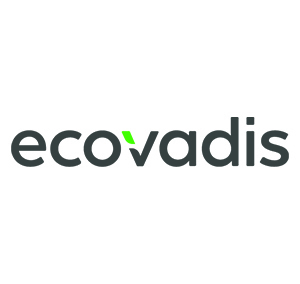 EcoVadis is a global initiative that addresses corporate social responsibility (CSR) and sustainability, covering twenty-one criteria including Environment, Fair Labor Practices, Ethics/Fair Business Practices, and Supply Chain.